This series looks back at events from the American collective experience which had a profound impact on us. We talk with those who had a hand in them and those who were moved by them in some significant way. 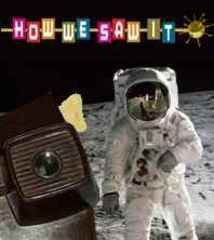 "How We Saw It" is hosted by Bill Rogers, the beloved voice of the world's most famous theme park and a man who remembers these occasions with fondness and humor.